One of my favorite places to go when I was a kid was this cheesy Mexican restaurant outside of Denver called Casa Bonita. When we drove from Alabama to Washington state four years ago, we made sure to stop at Casa Bonita. It was something my kids had to experience. The kids loved the cliff divers. And, it was the first time they had real Sopaipilla. Sweet fluffy fried dough with honey and cinnamon sugar. Definitely not the cheater variety I make. 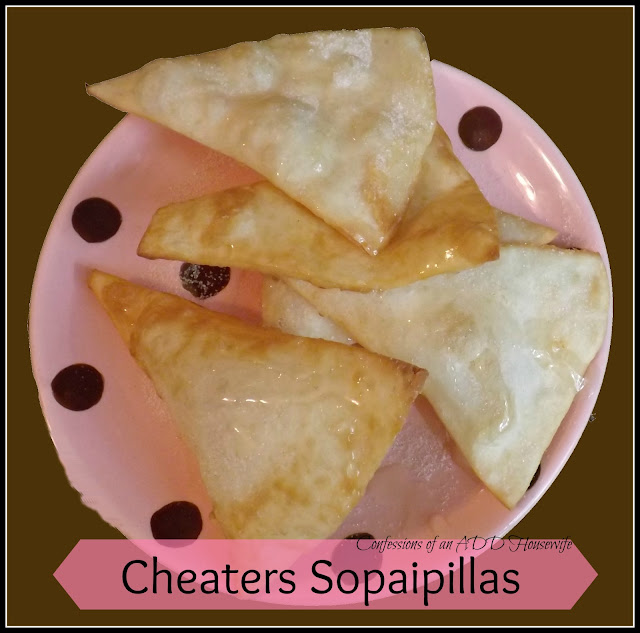 I still don't make real sopaipillas at home. I'll leave that to the professionals. Or those with patience. 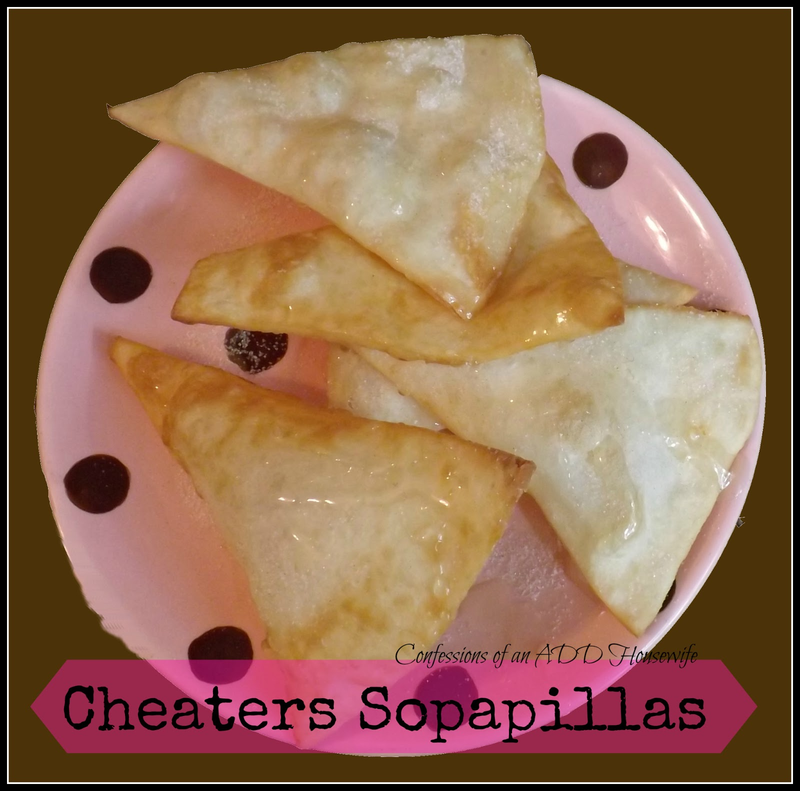 What I do make is a cheater variety that delivers all the flavor without all the effort. It's perfect for an afternoon snack when you want something crunchy and sweet. In a small pan, heat oil to 350 degrees. Carefully drop tortilla triangles into oil. As soon as it puffs, and one side turns golden, flip it over and cook until golden. It will go quickly! Sprinkle with cinnamon sugar and drizzle with honey. This looks and sounds so good! Thanks for sharing ~ pinning! oooooooooo, and caramel, don't forget the caramel! Thanks Micki for sharing at Foodie Friends Friday!